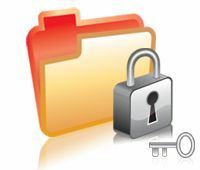 Microsoft Private Folder is a software utility that protects your private data and sensitive information on your PC. The tool is especially useful when you share the PC or user account with your friends, colleagues, kids or any other people but want to has your own privacy and private storage that not accessible to other users who don’t know the password. Microsoft Private Folder will create a password protected folder called ‘My Private Folder’ in your user account on the computer, which allows you to save your personal files and data securely and privately. However, Microsoft Private Folder only provide basic function that limits access to files inside private folder by other users on the computer (you can just reveal the password to the people you trust), and is not intended to provide security against hackers. And if you forget the password to the private folder, you cannot unlock the private folder and cannot access any of the files or folders it contains. Microsoft is not able to retrieve the lost files if users are unable to enter the correct password. To secure your data more reliably in Windows XP, Microsoft recommend never sharing your account with others, adding EFS protection to private files, and backing up important data. Note: Microsoft Private Folder was withdrawn and discontinued shortly after its release, probably due to support issue as there is no way to retrieve data locked inside the protected folder if password is lost. If you are facing issue with WGA validation, there is a workaround to bypass WGA validation when installing Microsoft Private Folder.